CARFAX One-Owner. Odometer is 22287 miles below market average! Nationwide Lifetime Warranty, RECENT OIL CHANGE, REMAINDER OF FACTORY WARRANTY, SYNC BLUETOOTH, SERVICE RECORDS AVAILABLE, Rear Backup Camera, REVERSE SENSING. 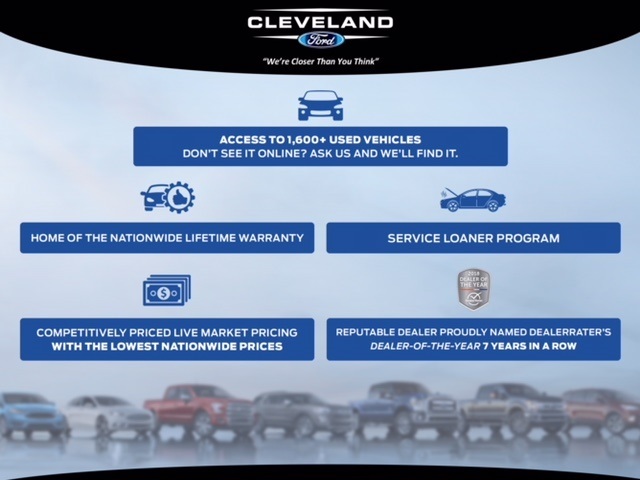 Select vehicles with less than 80,000 miles and are model year 2014 or higher qualify for Cleveland Ford's EXCLUSIVE Nationwide Lifetime Powertrain Warranty! This warranty covers everything that the manufacturer considers part of the powertrain, and can be used with any ASE Certified Mechanic across the country and even in Canada!